Self-tanner can be tricky, especially on the face. Well, what if we told you we had a genius trick to not only make your faux glow look flawless, but to also contour your face as well? 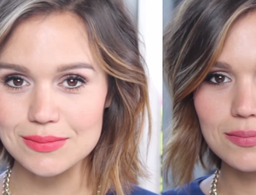 Watch this video and learn this pro tip so you can enjoy summer with a perfectly tan face.